The pleasure I now felt in having tryumphed over the rocky mountains and defending once more to a level and fertile county where there was every rational hope of finding a comfortable subsistence for myself and party can be more redly conceived than expressed. Experience jaw-dropping vistas in every bend of the trail and relive the dramatic story of Lewis and Clark and you follow in the footsteps of these explorers on our Lewis and Clark Tour. 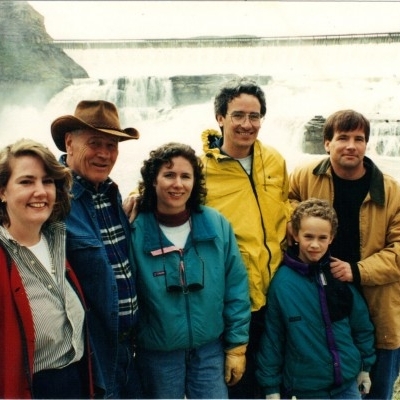 As part of Stephen Ambrose’s research for his best-selling book, Undaunted Courage: Meriwether Lewis, Thomas Jefferson, and the Opening of the American West, the Ambrose family spent vacations traveling the Lewis and Clark Trail on foot, canoe and horseback. 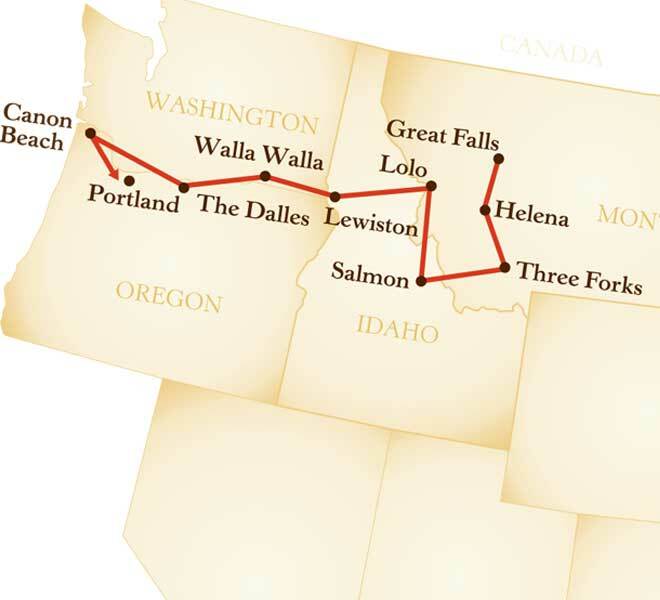 Our Lewis and Clark Tour is based on his journey following the path of Lewis and Clark from Great Falls, Montana to the Pacific Coast. The authenticity of this Lewis and Clark Tour is unrivaled. PLEASE NOTE: We offer a 3-day canoeing and camping pre-tour at the Missouri Breaks. After arrival at our hotel in the historic town of Great Falls, our own Corps of Discovery will gather to discuss our upcoming activities and history of the Lewis and Clark Expedition. We have a Welcome Reception and Dinner at our hotel. From there, we go to Decision Point at Loma, a pivotal location on the Corps of Discovery Trail. Here, Lewis and Clark made the crucial choice about which river to follow to reach the Northwest Passage — take the Marias or continue on the Missouri. We will visit historic Old Fort Benton, trading post for many Native American tribes and trappers, as well as the Missouri River levee. Fort Benton was the endpoint of steamboat travel between St. Louis and the west. We include a stop at the Agriculture Museum to view the Hornaday Bison. We then return to Great Falls and The Lewis and Clark Trail Interpretive Center. 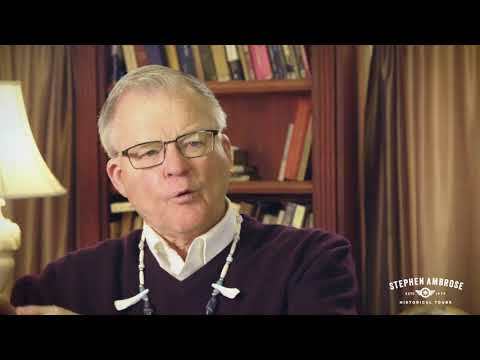 Situated beside the Missouri River, the Center features indoor and outdoor exhibits that Stephen Ambrose called “outstanding—the best anywhere.” They include dioramas that depict the explorers, Sacagawea and her son Pomp, an Indian village, and many artifacts. A drive along the river takes us to Giant Springs and view of the Falls. We begin the day with a visit to the C.M. Russell Museum. Russell was a world-renowned artist whose intimate knowledge of the American West informed his art during his lifetime. He was the first artist who actually lived most of his life in the Cowboy West, and created approximately 4,000 works of art that inspired the work of many artists who look to the West as their muse. Afterwards we will visit Ulm Pishkun, site of prehistoric bison hunts. In the afternoon, we travel by bus to the five-mile canyon that Meriwether Lewis christened “the gates of the rocky mountains.” We will take a boat ride into the magnificent Gates in the direction of the vital headwaters of the Missouri River and see mountain goats, deer, eagles and osprey who still call it home. We will begin the day at the Montana State Capitol in Helena, an outstanding example of architecture at the turn of the 20th century. The building, recently refurbished, features a beautiful stained-glass skyline in the rotunda and a great deal of artwork, including Russell's mural depicting Lewis and Clark and the Flathead Indians near Sula, Montana. A visit to Three Forks Headwaters State Park will include a canoe trip with an experienced local outfitter and a demonstration of the Girandoni air rifle carried by the expedition. Our Corps’ day begins with a drive to Whitehall and its marvelous murals of the expedition, and on to the Beaver's Head Rock, which Sacagawea recognized as a landmark close to Shoshone tribal lands. After a stop at Clark's Lookout in Dillon, we head to Camp Fortunate, where Lewis and Clark made critical first contact with the Shoshone—Sacagawea's own people. Our next stop is Lemhi Pass on the Continental Divide and the Missouri River headwaters. We walk over the Divide in Lewis’ footsteps and down to where he first drank from the waters of the Columbia River. We will end the day with a dinner cruise on the “River of No Return,” at Salmon, Idaho. The day begins with a short drive along the Salmon River, exploring the route that William Clark found too wild to navigate. We will continue with a visit to the Big Hole Battlefield National Monument, where in 1877, Joseph and the Nez Perce put up a fierce defense in one of the battles between the tribe and U.S. Cavalry troops. We then travel north to Traveler’s Rest on Lolo Creek, where Lewis and Clark camped traveling west in 1805 and again in 1806 where they split up to further explore Montana. We have a brief stop at Lolo Hot Springs on our way to the Powell Ranger Station on the Montana/Idaho border, including a visit the Stephen E. Ambrose Memorial. Our group will start the day with stops in Kooskia and Kamiah, towns within the Nez Perce Indian Reservation. The Corps encamped at Kamiah on their return trip to wait for better traveling weather. Kamiah is also home to “Heart of the Monster,” a rock formation that was part of Nez Perce folklore. We will then head to the “Canoe Camp” in Orofino, Idaho, where the Corps built five dugout canoes for their downstream journey to the Pacific Ocean. Our last stop is visit to the Nez Perce National Historical Park, dedicated to the tribe’s rich culture. This day will start at the Hell’s Canyon National Recreation Area, on the border of Idaho and Washington. The park commemorates several pivotal moments in the history of the American West through interpretive signage and hiking trails. We drive to Walla Walla, Washington, and visit the Fort Walla Walla Museum, a living history site with exhibits about Lewis and Clark as well as other pioneer settlements. We also stop at the Marcus Whitman National Historic Site, a 19th century mission that memorializes the unique challenges presented by the cultural divide between Christian missionaries and Native American tribes. In the morning, we will drive to Tamastslikt Cultural Institute, which tells the stories of the Native American peoples indigenous to the region from a Native prospecting. En route to Hood River, we will pass by Hat Rock, an unusual formation used as a landmark by Lewis and Clark. Our scenic day’s journey will take us along the Columbia River through The Dalles to The Columbia Gorge Discovery Center, where exhibits include an examination of the supplies and equipment used along the Corps’ travels. Afterward, we travel the Oregon Historical Highway on our way to Hood River. This morning will find our group at the Bonneville Dam, constructed as a part of Franklin Delano Roosevelt’s “New Deal” program in the 1930s and named for an early explorer of the Oregon Trail. We will stop at Multnomah Falls, one of the largest waterfalls in the United States, on our way to the Oregon Trail Interpretive Center, a living history museum that is committed to educating the public about the travails and triumphs of those early trailblazers who trekked west into the unknown wilderness. Our final stop is Fort Vancouver, a 19th century trading post. Our last day on the heels of Lewis and Clark will take us to the Oregon Coast. We will visit the Astoria Column, where the observation deck allows visitors breathtaking views of both the Pacific Ocean and the Columbia River. We will continue with a visit to the Columbia River Maritime Museum dedicated to preserving artifacts related to the exploration of the Pacific Northwest. We will proceed on to Fort Clatsop, the 1805-06 winter encampment of the Corps of Discovery near the Pacific Ocean. We will continue on to Seaside where we will enjoy the sights of this beautiful coastal town known for its unique salt production. We will end our Undaunted Courage Tour at Cannon Beach, a wonderful site to reflect upon America's greatest land expedition. We salute our trip with our farewell dinner in Portland. The main Lewis and Clark Tour requires some walking. The pre-tour includes canoeing (usually 3 days), living in tents, camping and outdoor eating and toilet facilities (2 nights), and some mountain walking and hiking. Weather conditions may be very hot and humid, cold and/or wet. Please be sure that you are in good physical condition to be able to enjoy and fully participate in the activities of the trip. Per person based on double occupancy. If rooming alone, there is a $900 single occupancy supplement. Per person based on double occupancy. If rooming alone, there is a $200 single occupancy supplement.